No prior meditation experience is required for any of our practices and all are welcome. TWO LOCATIONS: 19 Fair Street in Guilford,Connecticiut and in Old Saybrook at 341 Boston Post Road, behind the Joint Effort gym. 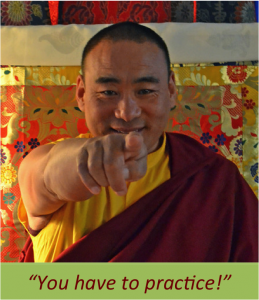 Khentrul Rinpoche gives periodic teachings streamed live from his retreat center in Arkansas. The sangha gathers to watch them together, but if you are out of town you can request a link to join us remotely. Please add your name to the mailing list to get announcements about these online events and dates.